We hope that 2017 has been a successful year for you and your organization! We would like to say thank you to our customers, clients and collaborators for your support. It’s been another busy year for us. Looking back, it’s not hard to see why 2017 flew by. The number of keys being produced is still increasing year on year. Our mobile platform keeps going from strength to strength and new features across our software range are seemingly being added to on a daily basis. We hope you find this newsletter informative. We wish you all a happy holiday season and look forward to continuing engagement with you in 2018. 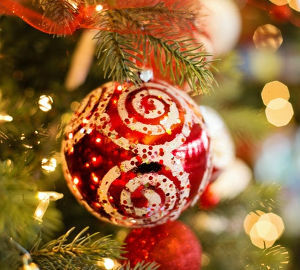 We hope you and your families have a great Christmas holiday and the very best for the New Year. PS. If you have any keys or lucid related news you would like mentioned in the next newsletter please contact us. We would love to hear what you’ve been up to. 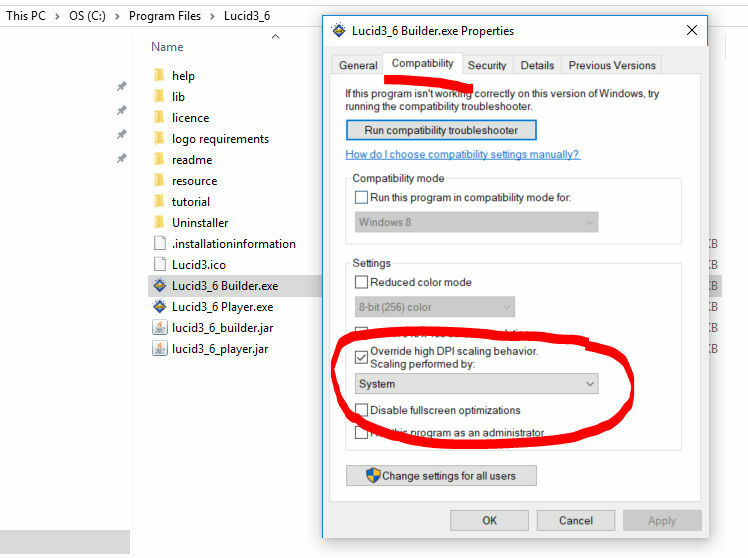 Are you running Lucid on a Windows computer with a high DPI resolution screen? E.g. Microsoft Surface laptop etc. Does the Lucid Builder interface look small? Or the fonts very small? 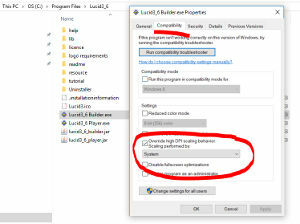 Try setting the Lucid Builder and Player applications scaling settings to use ‘System’ or ‘System Enhanced’, by right clicking on the executable and adjusting the property shown in the screen shot below. Another update to this popular app has been released. 50 more fact sheets have been added. Version 6 of the app now contains 350 fact sheets. Wattle: Acacias of Australia is currently being upgraded and will be released as a Lucid mobile app early next year. Snake Id mobile app. This new app is almost ready for release and is undergoing final testing. Tomato, capsicum, chilli and eggplant: A field guide for the identification of insect pests, beneficials, diseases and disorders in Australia and Cambodia by the NSW Department of Primary industries, will be released as a Lucid mobile app early next year. 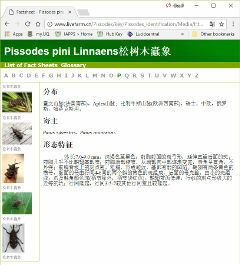 Insect orders Lucid mobile app has undergone an upgrade, adding additional information and fact sheets. Fixed a bug in best feature where nested numerics were present. Fixed a matching bug (related to above numeric best bug). Added feature/state selection by Builder assigned unique id or via a user assigned unique id. Added filtering of entities by Builder assigned unique id or via a user assigned unique id. Added selected features/states are shown expanded in selection windows. Added state gallery thumbnail view option. Improved image viewer with gallery thumbnail view option. User interface updates and additional layout refinements. Added ability to pass parameters via the URL in addition to the loading html page and local storage parameters. Added Entity remaining and Entity discard tracking into the Local storage option. Added additional export options for the Lucid Player. Update thumbnails added, check media improved. Updated installers to fix missing resources and updated platform support. Several minor bug fixes (numeric input, score analyser, import media, etc). Tutorial changed over to a PDF format. 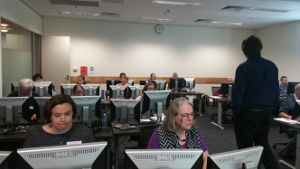 A two-day Lucid training course was held in Canberra, on the 30th and 31st October 2017 for 19 participants. The course presenters were Matt Taylor and Kevin Thiele. 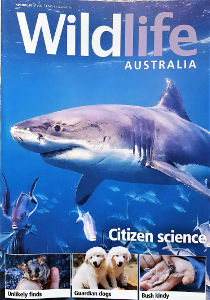 They focused on Lucid v3.6, key construction, and the preparation of key media and materials, particularly involving the use of Fact Sheet Fusion. Deployment options were also covered, particularly the new Java Script (browser) player. Future training workshops in Sydney and Melbourne for 2018 are being explored as well as a workshop for North America participants. Work has recently begun on a major update of the Lucid based 'Tropical Forages' key. The original forage plant selection tool, funded by a number of international donor organisations, was created as the result of a collaborative effort by international forage specialists between 2000 and 2005, including CSIRO Sustainable Ecosystems, the Department of Primary Industries & Fisheries (Qld), the International Centre for Tropical Agriculture (CIAT) and the International Livestock Research Institute (ILRI). 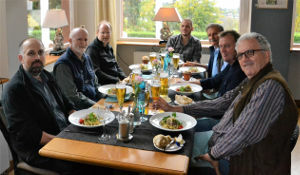 In October this year, Matt Taylor travelled to Frankfurt, Germany to participate in a workshop, involving colleagues from CIAT, based in Columbia, and colleagues from Australia, who were the original CSIRO experts involved in the first release. Funded by the Australian Centre for International Agricultural Research (ACIAR), this major update will include an extensive review and revision of the content of the original Tropical Forages key and its improved deployment as a Java script browser key and as a Lucid Mobile app. 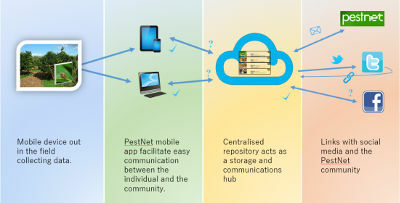 The Lucid team has been busy this year working on a project funded by the Australian Centre for International Agricultural Research (ACIAR) to develop a reporting system and mobile app for the international PestNet community. 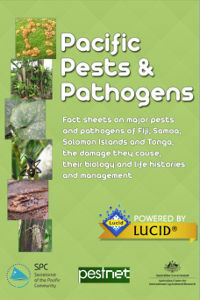 This will enable the PestNet community help those in the South Pacific and others throughout the world obtain rapid advice and information on plant protection, including quarantine. It will eventually replace the Yahoo email group which has been operating for well over a decade. The Lucid mobile platform has a range of additional features and functionality beyond identification, such as the reporting facility mentioned above. Working with The University of Queensland and the Gold Coast City Council a new mobile app will be developed. The koala population in South East Queensland is declining at an alarming rate due to various threats like diseases and trauma from car strikes or dog attacks. 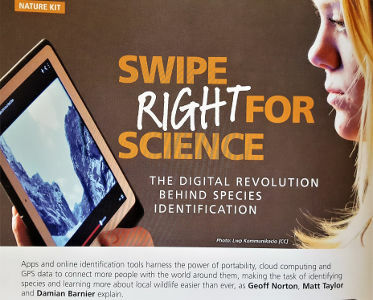 The app will help monitor and save koalas by contributing valuable research data and conservation information through the KoalaSAFE project. 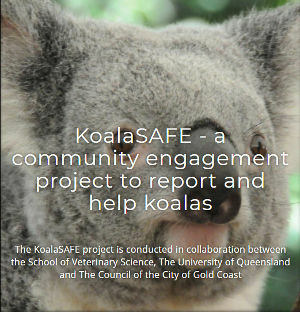 The KoalaSAFE project will establish a centralised observations database for koalas in South East Queensland. The app will allow citizen scientists and wildlife monitoring staff to report and upload incidental and systematic sightings of koalas. Analysis of the sightings data will allow the identification of temporal and spatial trends of risks for disease, injuries and mortality and quantification of habitat use by koalas. Lucid keys have been and are being developed by local authors in over 176 countries. One country that has developed a number of Lucid keys in the past few years is China; Lucid is used in over 50 organisations and government departments. One standout Lucid key developer is Dr Xiaobin Zhang at the Zhejiang Academy of Agricultural Sciences in Hangzhou (Zhejiang Province), who is providing support for the development of a range of Lucid keys on various agricultural topics within China. 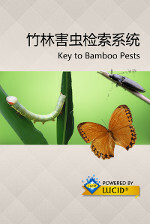 One recent project that Dr Zhang has participated in involves collaboration with colleagues at Zhejiang Agriculture & Forestry University to develop a key for the identification of bamboo pests in China. This key has recently been released and is the first Lucid Mobile identification app that has been developed in China. 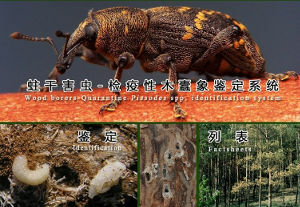 Another, Lucid key that is available online has been developed by the Zhejiang Entry-Exit Inspection and Quarantine Bureau to provide quarantine staff with support in identifying intercepted wood borers (Pissodes spp). 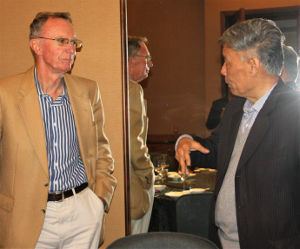 Recent Lucid activities in China (see Spotlight article) and plans for future collaboration. 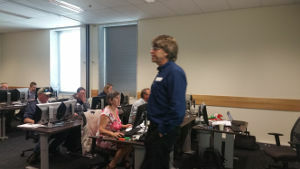 Discussing projects using the Lucid platform for developing tools to support the diagnosis of rice pest, disease and other disorders and to develop a complementary tool aimed at supporting decisions regarding the most appropriate "Green" cropping systems for specific rice farms.